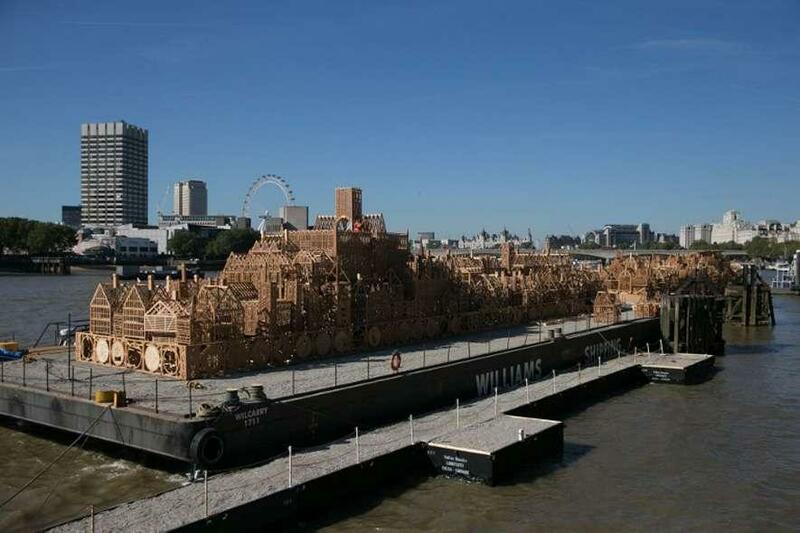 2/8 The 110-metres-long wooden structure was set up on the banks of the Thames. 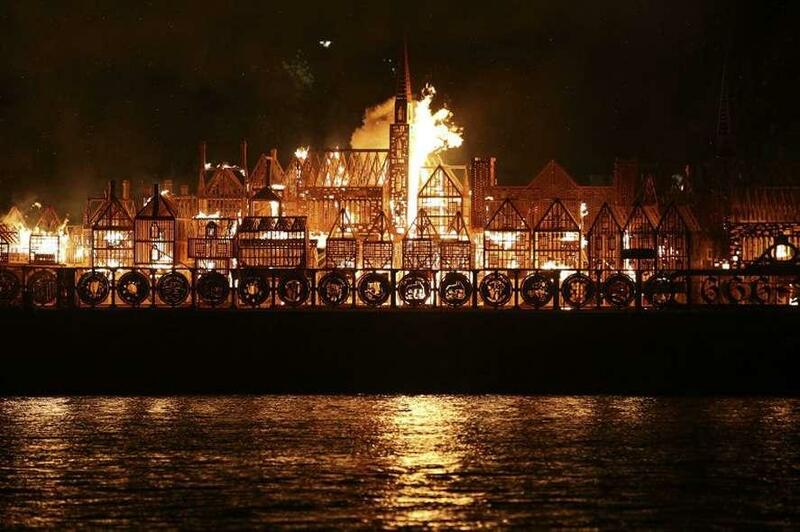 5/8 The sculpture was commissioned for the 350th anniversary of the 1666 fire. 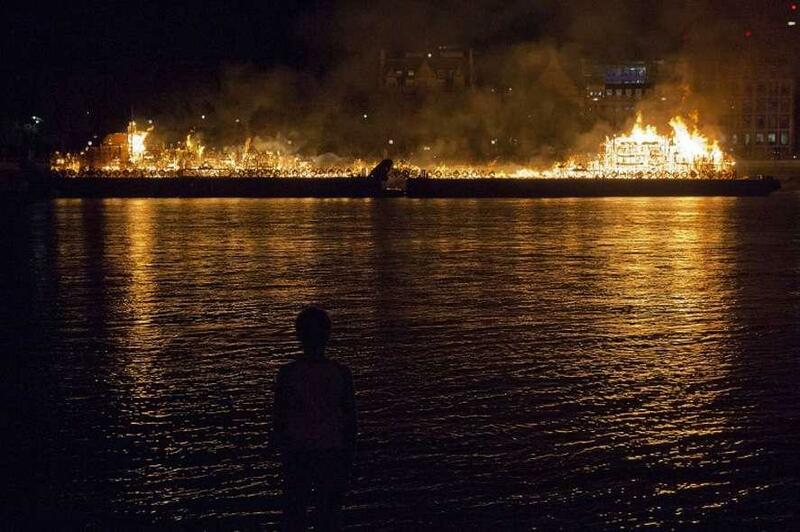 6/8 The view from the opposite bank of the river where thousands gathered to watch the blaze. 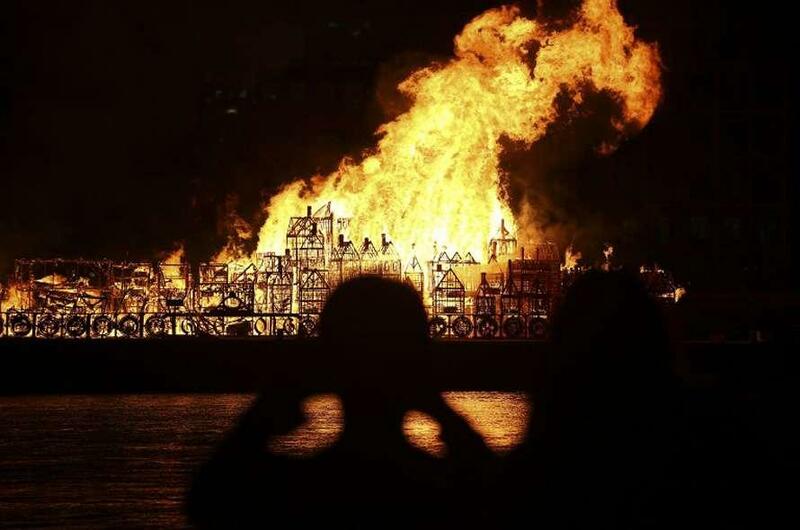 7/8 The blaze was the grand finale of the London's Burning festival. In 1666, a blaze ripped through the heart of London for four days, leaving 80 per cent of the walled city in ruins. The raging fire destroyed more than 13,000 homes, shops and iconic structures such as St Paul\'s Cathedral. Hundreds were killed. 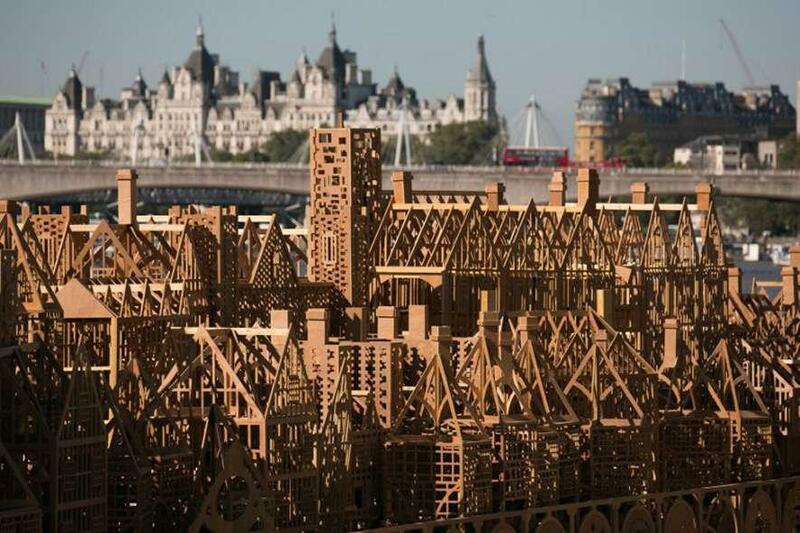 This year, on the 350th anniversary of the Great Fire of London, a wooden replica of London, as it stood in 1666, was set on fire on the banks of River Thames in commemoration of the tragedy. 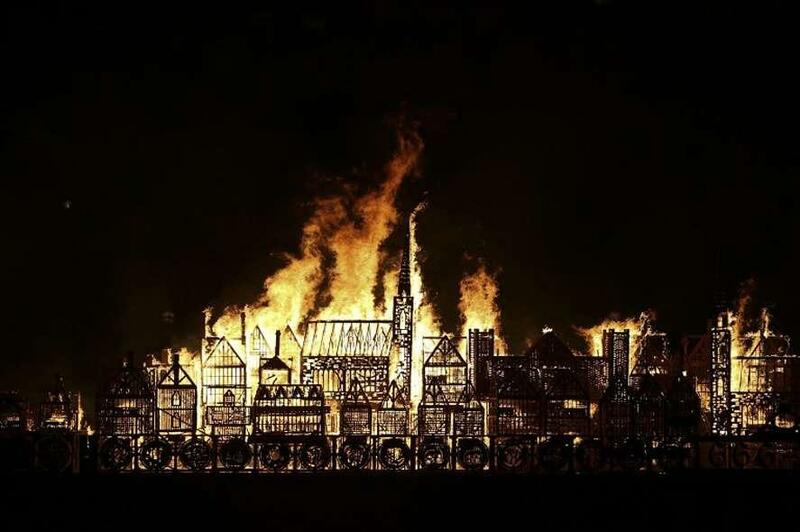 Created by American "burn" artist David Best, the burning of the 120-metre-long installation, titled \'London 1666\', was the grand finale of the London\'s Burning festival. 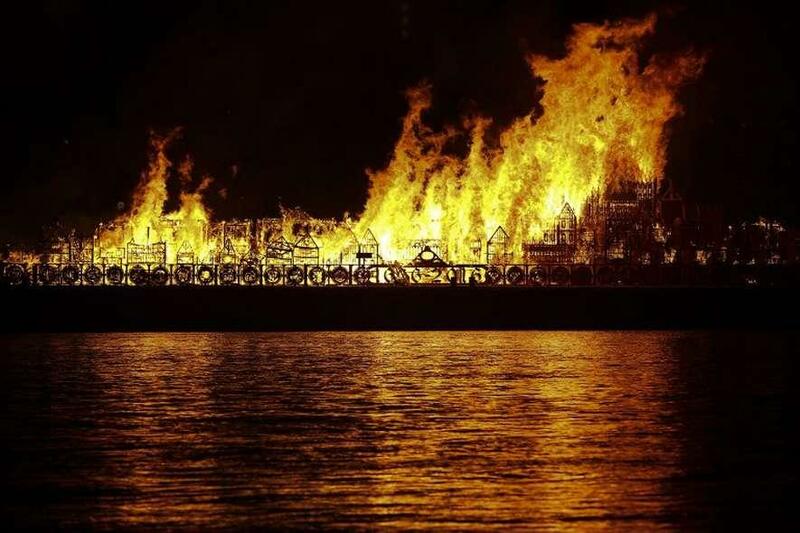 Large crowds gathered on the banks of the Thames to watch the massive model go up in flames. A large fire crew extinguished the flames at the end of the performance. 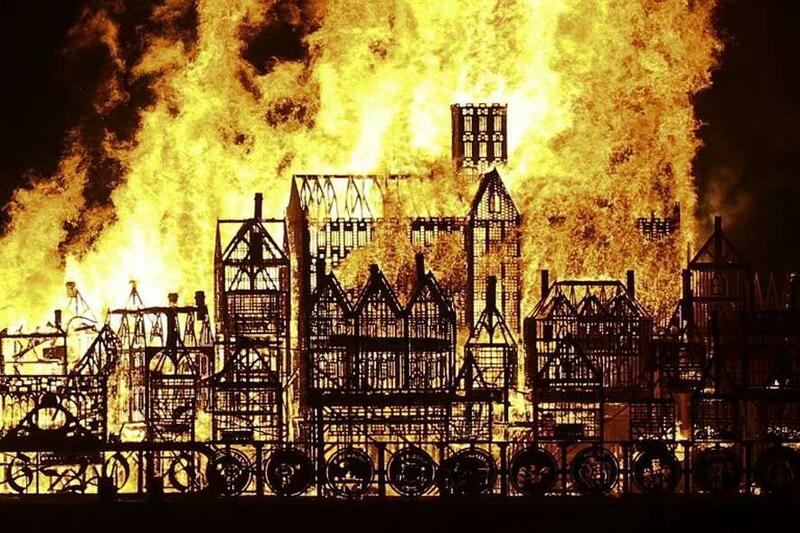 The festival was produced and staged by the creative company Artichoke to commemorate the Great Fire.